4th Sept – 7th Oct. 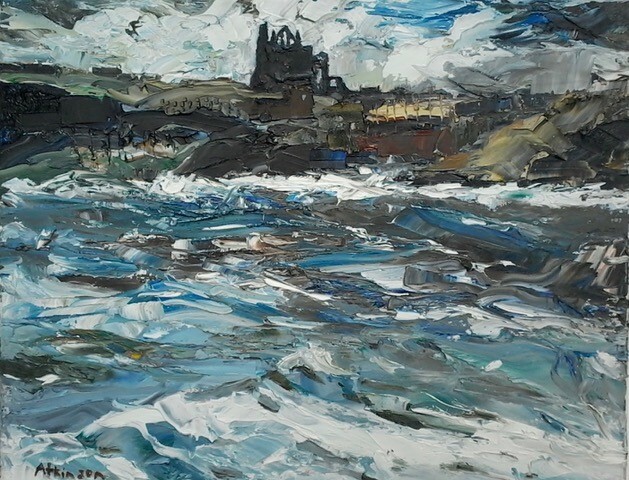 The Fylingdales Group of Artists have been in existence since 1925, initially formed in Denton Hawley’s studio in Robin Hood’s Bay with just 8 members, their aim being to exhibit Yorkshire pictures. 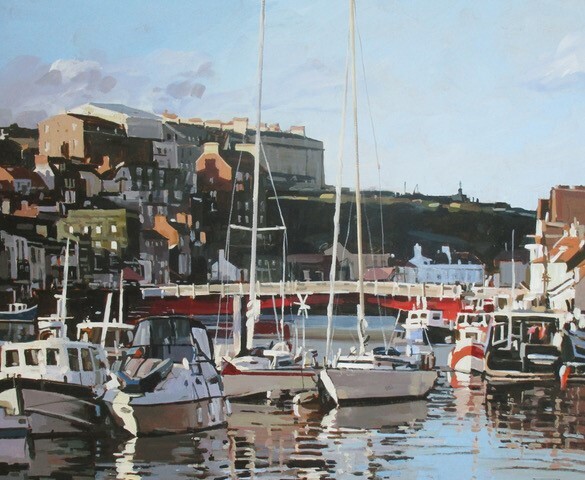 The Group usually hold one Exhibition per year at Pannett Art Gallery, Pannett Park, Whitby, the venue being first mentioned in the Group minutes in 1952. We meet formally once a year after our Annual Exhibition. A glance at our list of members will show that we are scattered over a large area, it is quite a measure of strength of the group that Members are prepared to travel quite long distances to attend our Annual General Meeting. 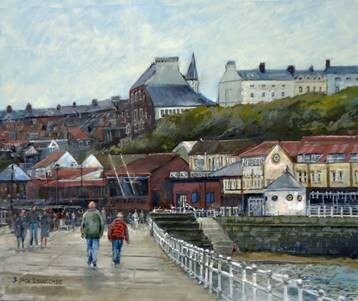 The main bond between us is a love of Yorkshire, its coastline and of painting. At our AGM in 2017 it was unanimously agreed to set a theme for the 2018 Annual exhibition. It was decided that our first theme should be a celebration of our host town Whitby and the 250th Captain Cook anniversary. This is the very first time throughout the history of The Fylingdales Group of Artists that a theme has been set to which all present members and ‘invited artists’ will adhere to. To mark this departure from our normal proceedings we are publishing a book of all submitted pictures for this exhibition as a record of our undertaking entitled ‘Whitby in Paint’.